On October 19th I participate as a speaker in the Bytes for Sale seminar on selling and collecting media art organized by AV-Arkki at the Kiasma Contemporary Art Museum in Helsinki. Media art presents unique challenges and opportunities for its sellers and collectors. New approaches and skill sets are often called for in the buying and selling of media art. This seminar brings together major collections of media art, researchers and galleries with novel approaches to selling and producing media art works. The seminar showcases their practices and discuss current trends and projections for the future of buying and selling media art. What paths are used to buy and sell media art today and in the future? What are major collectors of media art looking for in their acquisition process? What will be the role of the gallery in the media art scene of tomorrow? These themes and more are discussed during the day through presentations, Q&A sessions and panel discussions. The seminar will also present the results of an ongoing project by AV-arkki to chart the skills and attitude of Finnish galleries towards the selling of media art and to create practical tools to aid to facilitate the sales process. Video of my talk. Other videos of this session can be found here. Introducing the biggest collection of media art in Finland. Kiasma has been a major influence in media art sales practices in Finland. Chief curator Kati Kivinen talks about the position of media art in the Kiasma collection and how she sees it developing in the future – and about the needs of a buyer of media art in the acquisition process. Presenting the findings of a project to chart the skills and attitudes towards media art of Finnish galleries. Producer Kati Åberg will also introduce the new tools created during the project to help manage the copyright of music in media art productions and to create sales agreements suitable for media art. Presenting new practices in selling media art and reflections on the future of media art and the art market. 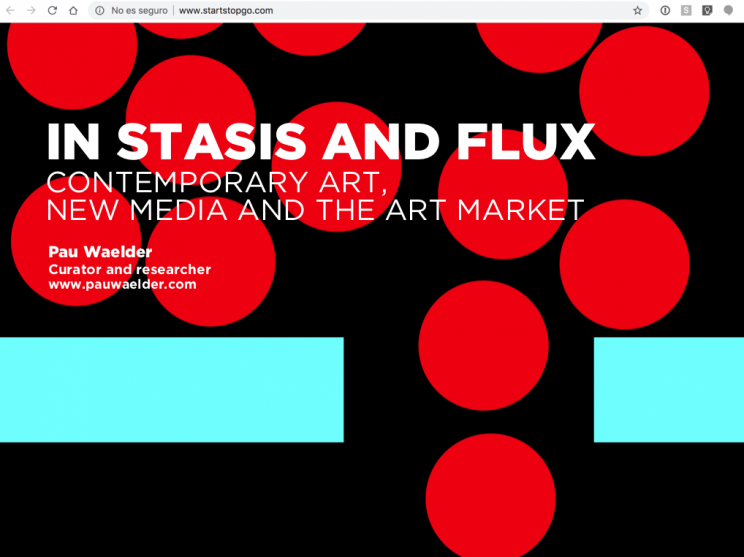 In his presentation, Pau Waelder will also showcase the strategies developed by artists in order to distribute and sell their web-based and digital art works and discuss new resources such as NIIO, an online platform for curated video and digital art. Time for a few questions about the morning’s presentations. Media curator Susanne Touw introduces one of the biggest collection of media art in Europe and talks about the position of media art in the Goetz Collection and how she sees it developing in the future. Also about the trends that she sees in the international media art market. Daata Editions commissions artist digital media including; video, sound, poetry and web. Director David Gryn will talk about the philosophy and practices of this novel (in his view ‘normal’) approach to selling media art, which includes not only online sales, but also collaborations with art fairs and events around the world. How does he see the international art world developing and the role of galleries for digital media art in the future? Kelani Nichole discusses the emergence of the ‘networked avant-garde’ in the art market, and the ways the art world is shifting to support contemporary artistic practice. She will share techniques and experiences from her work at her experimental gallery, TRANSFER, where she has produced over 60 exhibitions featuring new formats of contemporary art since 2013, along with insights from her role as director of The Current, a non-profit museum collection rethinking patronage in contemporary media art. Panel discussion of all the participants on the themes, which have come up during the seminar. We also invite the audience to ask questions of the presenters.